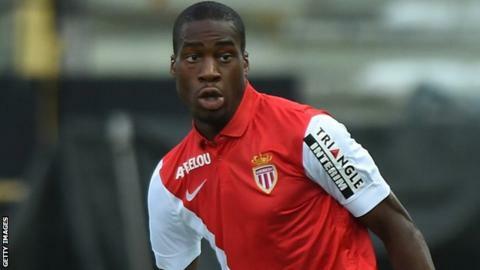 France midfielder Geoffrey Kondogbia is set to join Inter Milan from Monaco. The 22-year-old France international will have a medical in Milan on Monday after the two clubs agreed a fee, reported to be 35m euros (£25m). Kondogbia, who has been linked with several clubs, including Manchester City and Arsenal, is thought to have agreed a five-year deal with Inter. He joined Monaco from Spanish side Sevilla in August 2013 and has made 49 appearances for them. He played in both legs of the Champions League last 16 away-goals victory over Arsenal last season, and scored in a 3-1 first-leg win at the Emirates. Kondogbia is expected to be one of several new arrivals at Inter this summer following a disappointing season in which Roberto Mancini's side finished eighth in Serie A.